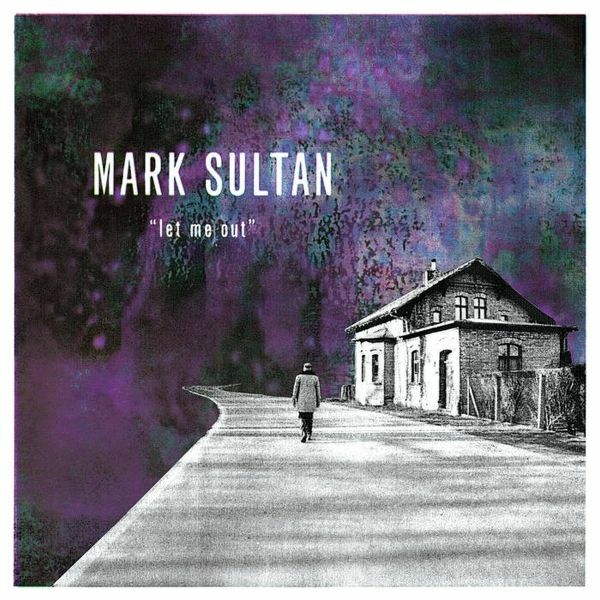 Deep in the forest outside of Berlin, one of rock and roll's most under the radar yet omnipresent figures is putting the finishing touches on his latest solo record, but in fact traces of Mark Sultan can be found around the world. Cosigned by celebrated labels In The Red, Last Gang, Crypt, Fat Possum, Dirtnap, Goner, Sub Pop, Vice, Bomp!, Norton, Sympathy For The Record Industry, and Wick (Daptone Records), you're bound to have come across something with Sultan's name on it. For this most recent effort, written, recorded and produced in his own Personal Imperfection studio in Germany, Sultan once again ups the ante, working to implement a full band and fully fleshed out instrumentation.Touring the world incessantly with his collaborative efforts with King Khan as King Khan & BBQ show, and with Bloodshot Bill as the Ding Dongs, his constant state of proliferation also led to involvement in Black Lips' supergroup the Almighty Defenders.For new record 'Let Me Out', Sultan lets his own voice shine more effusively than ever before. Through thirteen tracks filled with his signature moody, 60s inspired garage rock and roll, Sultan "doesn't simply revive old sounds and old excitements; he ingests them, digests them, and regurgitates them as something new and personal" (Pitchfork). Deep in the forest outside of Berlin, one of rock and roll's most under the radar yet omnipresent figures is putting the finishing touches on his latest solo record, but in fact traces of Mark Sultan can be found around the world. Cosigned by celebrated labels In The Red, Last Gang, Crypt, Fat Possum, Dirtnap, Goner, Sub Pop, Vice, Bomp!, Norton, Sympathy For The Record Industry, and Wick (Daptone Records), you're bound to have come across something with Sultan's name on it. For this most recent effort, written, recorded and produced in his own Personal Imperfection studio in Germany, Sultan once again ups the ante, working to implement a full band and fully fleshed out instrumentation. Brilliant new solo record by the artist also known as BBQ, who has previously done time in the Spaceshits, Los Sexareenos, & the King Khan & BBQ Show. A more fleshed out, refined-yet still raw & stripped down-version of Sultan's signature take on vintage era garage, R&B, doo wop & rock styles. Mark Sultan, better known as BBQ of one-man band and The King Khan & BBQ Show fame, has been pounding out his own stew of R&B, rockabilly, garage, doo-wop, psychedelia, punk and whatnot since he was a mere child fronting Montreals Spaceshits.